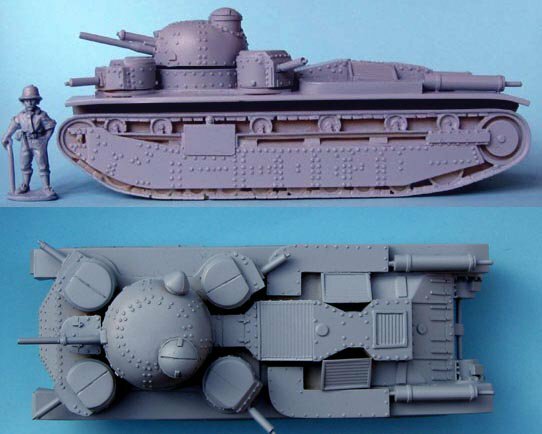 1/55th scale 5-turreted British prototype tank of the interwar years -a lightweight resin kit with white metal gun barrels etc. Approx. 135mm long x 50mm high. Miniature not included.